I was eating gummy bears when came across two that were eating each other! SORRY, COULDN'T THINK OF ANYTHING FUNNY. . . 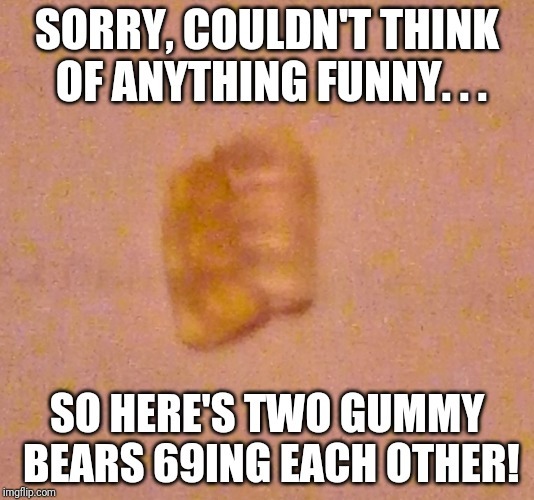 SO HERE'S TWO GUMMY BEARS 69ING EACH OTHER!